Businesses that have unique insights on their market and stakeholders make better decisions than those who lack this perspective. Amberoon works on business perspective solutions that leverage analytics technologies. A key element of the Amberoon approach is to optimize a solution around business use cases and enterprise performance metrics that are most relevant to business results. Businesses that have unique insights on their market and stakeholders make better decisions than those who lack this perspective. 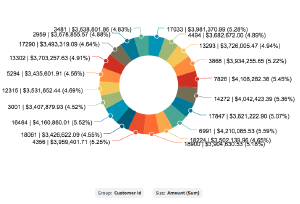 Amberoon works on business perspective solutions that leverage analytics technologies. 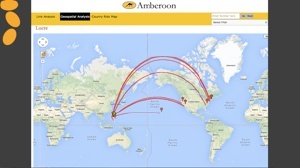 Amberoon uncovers unkown risks using a data-driven approach to risk management. Anti-money laundering achieved through contemporary technology. A thought leadership forum for the business application of advanced analytics technologies. A risk-based approach to AML can improve monitoring and compliance while reducing costs. Lucre facilitates a risk-based approach by focusing a bank's efforts on a smaller set of transactions with highest probability of AML risk, so intervention can be done in a timely manner. Technology developments in big data, machine learning and predictive analytics provide the basis for mitigating AML risk. These technologies can be used to identify patterns of bad behavior that are very hard to detect by a human being. Banks can use Lucre to reduce compliance exposure by improving existing banking processes and by creating new approaches to managing existing AML processes including setting up effective internal controls and alert systems. Prasanna Mulgaonkar - CEO of Cloud Raxak, a SaaS-based security offering for cloud-based that empowers IT and application development teams by automating security, and ensuring compliance across private and public clouds. Shirish Netke - CEO and President of Amberoon, a provider of data-driven risk management solutions for Anti-money Laundering for financial institutions. He has extensive leadership experience in high-growth technology companies including Sun Microsystems and Aztecsoft.